It seems to me that the U.S. Government is in a difficult position right now. 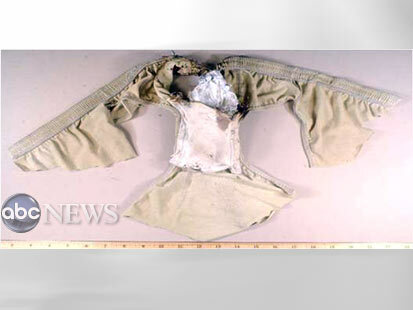 After all, the Underwear Bomber Trial is set for October 4, 2011. This trial could expose the entire false flag plot. I can't see that happening. My question is this, what will happen between now and October 4 that will cause the truth to be suppressed? Kurt and I went to Umar's status conference this week. Being in a court room, not being the "attorney" for one of the parties, is weird in itself. Sitting in the back watching the proceedings is odd to me. Kurt and I got there early and sat in the hallway until the doors opened. Once the doors opened, we went in and took a seat. From what I could tell, the only other people there besides us were the media, attorneys for the other side, and I believe, some CIA agents. Kurt was asked by a reporter who he was with (I think they thought we were reporters) and he told her that we were passengers, which sparked her interest. She was from The Free Press and talked to us a lot before the hearing, during it, and in the hall afterwards. nothing we said to her was reported in the Free Press, which did not surprise us since mainstream media seems to steer clear of reporting our story. I don't blame the reporters though, I think they are truly interested, but when they give the story to their higherups, the stories are shot down because we are speaking out against the government, who helps fund them/controls them.........Anyway, we walked outside and it was kinda crazy. Cameras flashing, video cameras everywhere. We talked to a bunch of TV stations, and Fox News was the only one to actually report having talked to us. I imagine Fox is able to report as they are a republican based station, and since we are speaking out against the government and the current administration is democrat, this makes it OK for Fox to show this stuff, and they are probably encouraged to do so. Fox also contacted us the next day asking to come to the office, and filmed us for an hour talking about our different ideas and theories. This was aired as well, two days in a row, however, I cannot find this video online anywhere for some reason. Was Fox told not to air it online by someone? Hmmmm. Anyway, back to the hearing. When Umar came out, it was really eerie. He was wearing a white t-shirt, just like the last time I saw him. Seeing him was really odd. I almost felt like I was taken back to that day, all the memories of how horrible I felt for months came rushing back to me. I think Kurt felt the same, as I looked at him and said "this is creepy" and he agreed. One result of the PTSD was nightmares and flashbacks to the event, and that night, I had a nightmare and a flashback again. Luckily, it was just the one night though and has not happened since. TomT on Mon, 01/31/2011 - 9:29am. I'd like to see Kurt Haskell act as Umar's Attorney. Joe on Mon, 01/31/2011 - 11:05am. The above underwear...is it really Umar's? All along different points of the timeline, there are a variety of aspects which do not add up; that raise questions. Taking one point of moment in the timeline - "when Umar ignites the bomb"
~Some people question whether the above photos show the real underwear and bomb, because of the intense crotch fire and also witness testimony to how Umar's clothing was burned away. ~Crotch fire with no writhing nor screaming. Umar's reaction was odd. Most people scream or squirm wildly in pain when burning their hands on a hot stove. Most every male would react with loud convolution if their groin area was burning on fire. "He was staring into nothing" and shaking, said Schuringa. ~We are told by the official story version that Umar ignited the bomb while in the passenger seat in order to do the most effective damage (near the fuel tanks). He could have stayed in the restroom in order to ignite the bomb with no interference. 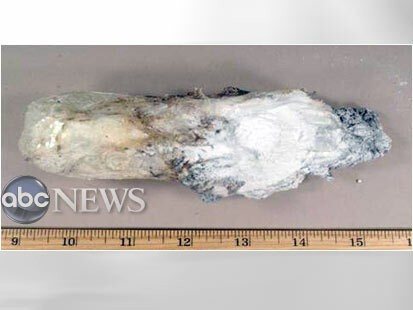 It would had been much easier to take the bomb out of the underwear and ignite it while in the restroom. In my opinion, someone had to instruct him to return to his seat in order to ignite the bomb in his underwear. Also, how did he ensure and predict beforehand this "preferred seating" (near the fuel tanks and wing, and against the skin of the plane). TomT on Mon, 01/31/2011 - 1:32pm. Joe on Wed, 02/02/2011 - 6:07pm.